Many companies clean carpets, but only a few do it well. 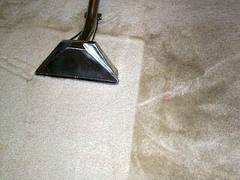 At Carpet Cleaning Southwark, we pride ourselves on being in the second group and our satisfied customers can attest to this. From homes to offices and retail outlets, our clients around the Southwark area enjoy the benefits of our long history as a provider of premium carpet cleaning services. Carpet Cleaning Southwark is guided by the belief that carpets should be more than just a way to cover your floor; they should add to the beauty of your home and provide comfort for your family. A stained or dusty carpet is simply not doing its job, but you can change this with just one visit from Carpet Cleaning Southwark. Our skilled carpet cleaning technicians will transform your carpet, making it a beautiful background for your home decor and a clean, comfortable surface for your family home. We don’t need to tell you that a dirty carpet looks bad, but you might not be aware that there is a reliable, affordable way to make it look much better. We’re not talking about paying a lot of money for a new carpet. 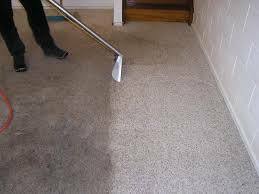 Carpet Cleaning Southwark’s steam cleaning and stain removal treatment for your carpet can brighten up even the most lackluster carpet and remove even old stains. When you first get your carpet cleaned by our team, you’ll be surprised at how good your carpet looks. In fact, you’ll probably be able to postpone changing your carpet for a few more years. *The costs above are valid about Southwark. They include the required labour (cleaning hours). If additional time is needed, then supplementary costs will be applied. Minimum charge applies. Quotes over the phone are formed based on the supplied information. Steam cleaning not only improves the appearance of carpets and upholstery, but it also makes your home a safer place. Hot steam and cleaning solution flows through carpet fibres at a high pressure, lifting off years of dirt, dust, tiny bits of food and build up like dead skin and hair fibres. The high temperature enhances the cleaning action, not only removing stubborn dirt but also sterilizing the carpet by killing any bacteria, mites and other minute creatures in your carpet. Carpet Cleaning Southwark uses only the safest chemicals and the most up-to-date equipment because we are committed to giving clients the best. At Carpet Cleaning Southwark, our vision is to change the way clients view the chore of having their carpets cleaned by delivering on our promises of prompt, effective and affordable services. One Southwark home at a time, we’ve won over clients not only for the remarkable results that we bring to carpets and upholstery, but also because of our friendly and experienced staff. From the customer service consultants who pick up your call and arrange your appointment to the cleaning technicians who come to your home to steam clean your carpets, you’ll find that having your carpet cleaned is a painless task and it’ll be over faster than you think. We may work quickly, but you can be certain that we’ll never compromise on the quality of our service. Carpet Cleaning Southwark’s 100% guarantee is our way of showing you that we believe in our services and that we’re sure you’ll be completely happy with the results. So if you just want your carpets cleaned, you can call any company in the telephone directory. But if you want your carpets cleaned WELL, call us to arrange an appointment.